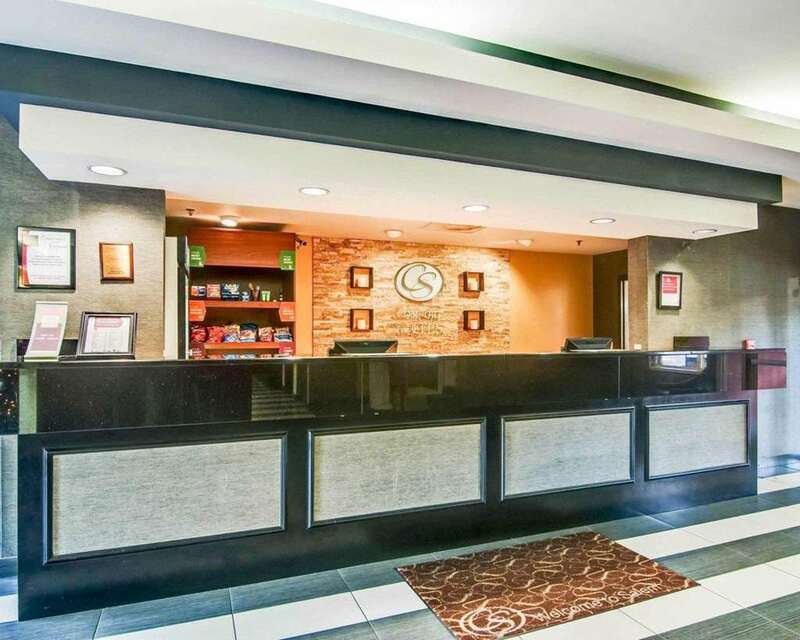 Get more of the space you need to relax or work at the smoke-free, all suites, family-friendly Comfort Suites Inn at Ridgewood Farm hotel in Salem, VA near the Roanoke Civic Center. We are located across the street from Lewis Gale Hospital, near attractions like Dixie Caverns, Salem Civic Center, Valley View Mall and Salem Memorial Baseball Stadium. We're also a short drive from Carilion Roanoke Memorial Hospital and close to Salem Veterans Administration Hospital. Courtesy shuttle available. Enjoy free hot breakfast, free WiFi, free coffee and a seasonal outdoor pool. Your spacious suite offers 25 percent more space than the traditional room and amenities like TV, hair dryer, coffee maker, microwave and refrigerator. Also, earn rewards including free nights and gift cards with our Choice Privileges Rewards program.